They’ve created designs that are fashionable references towards Juvenile Diabetes. 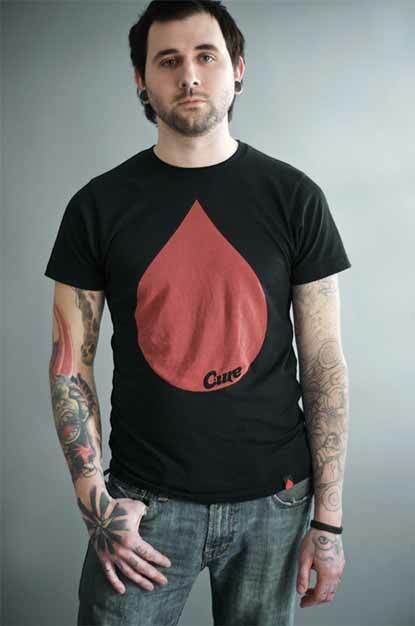 Their two centerpiece designs are the large blood drop t-shirt and the more subtle fingerprint t-shirt design with the logo on top. The blood drop is immediately recognizable if you’ve ever seen someone prick their finger to test their blood sugar. They have made the print large and bold to bring attention to one of the daily chores for those afflicted with Juvenile Diabetes. The design is awesome with a little bit of shock factor. 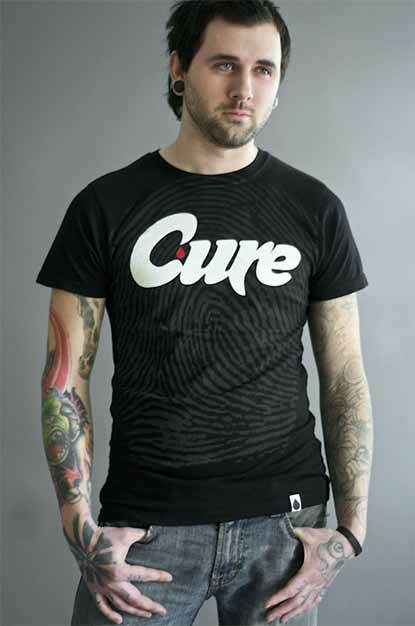 The fingerprint t-shirt is an oversize print with their Cure logo on top. The fingerprint graphic has a subtle but noticeable tone on tone look. There are some cool features to the shirts which is woven hem tags and specialty ladies shirts. The founder, Kelly Kiernan, has Juvenile Diabetes and is very sincere about his support for the cause of the Juvenile Diabetes Research Foundation. 10% of the profit is donated to JDRF. This brand is legit and its intentions are very respectful. We definitely recommend you shopping their wears and buying something while there.